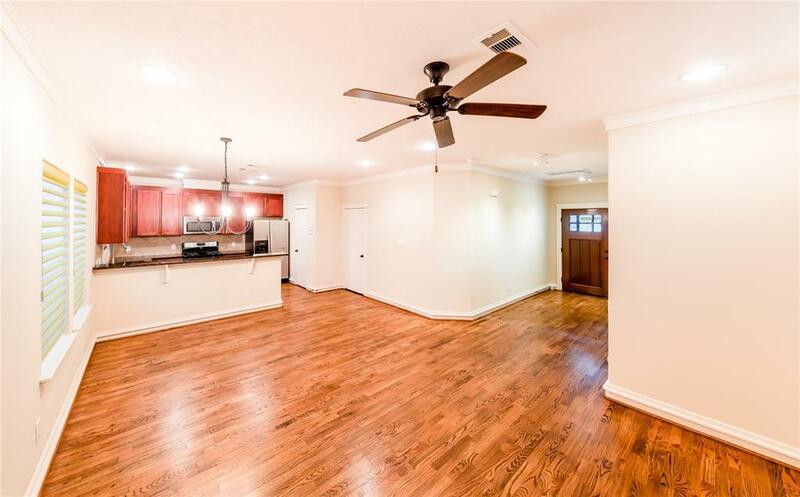 A rare opportunity to own this truly premium residence near Downtown, Galleria, and the Heights. 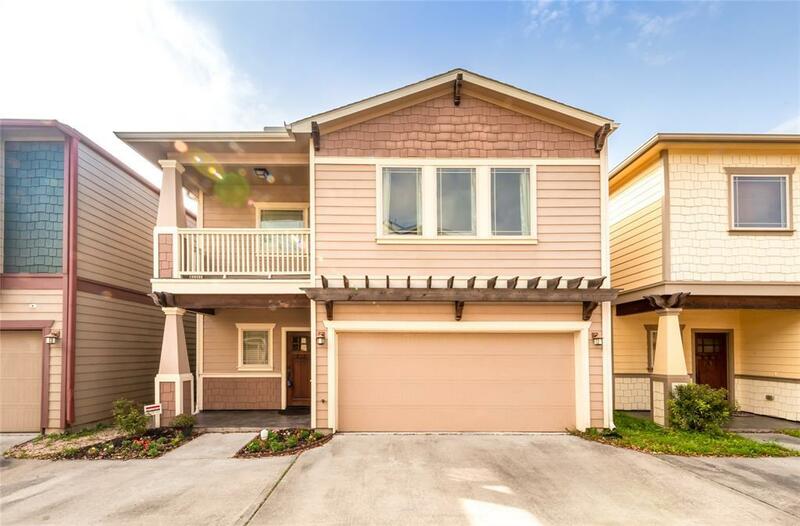 Welcome home to this charming and pleasing house nestled within a friendly 6 member gated community. This simple yet sophisticated house features upgraded finishes inside and out. Warm wood floors first floor and study. Soft carpet in bedrooms. 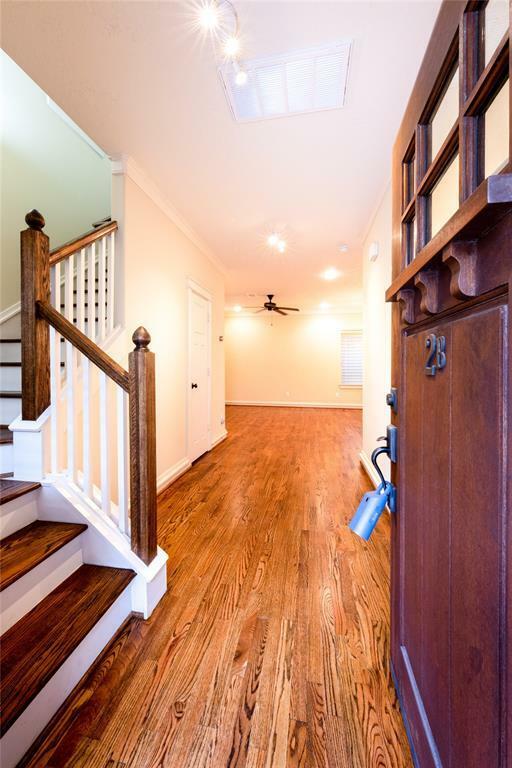 2 toned paint, upgraded wood base and crown moulding, and modern lighting package are pleasing to the eyes. 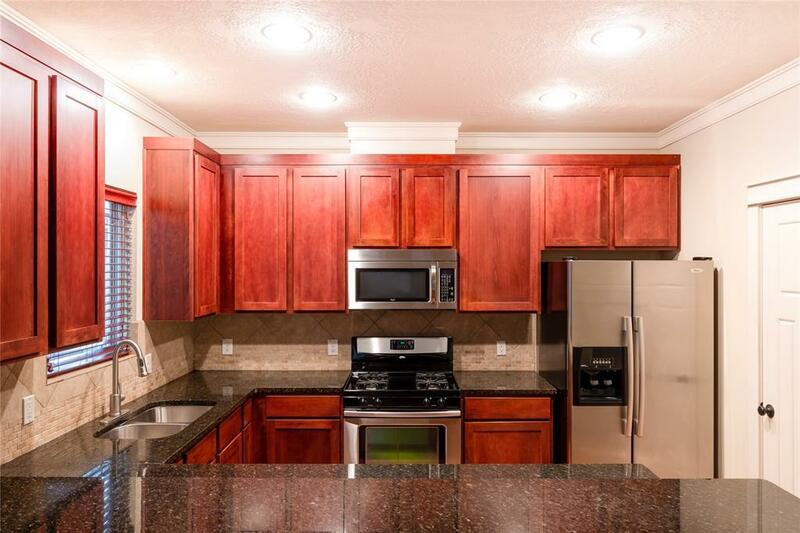 Kitchen has 2 tiered breakfast bar, upgraded granite counters, and Whirlpool appliances (w/ refrigerator). Upstairs study w/ built in shelves. Large master suite has door to a tiled and covered balcony, a large walk-in closet, and a master bath with 2 level his and her vanities, granite tops, jetted tub, and standing shower. Ceiling fans and Nest thermostat. 2 car garage, work bench, and hooks to hang bikes. Laundry room is conveniently located near bedrooms. Only a few minutes from I10/610. High and dry during Harvey.